We’re really in the swing of the Randonneurmas season now. In case you are joining late, this is my list of gifts for randonneurs or any avid cyclist. Today we’re moving indoors! 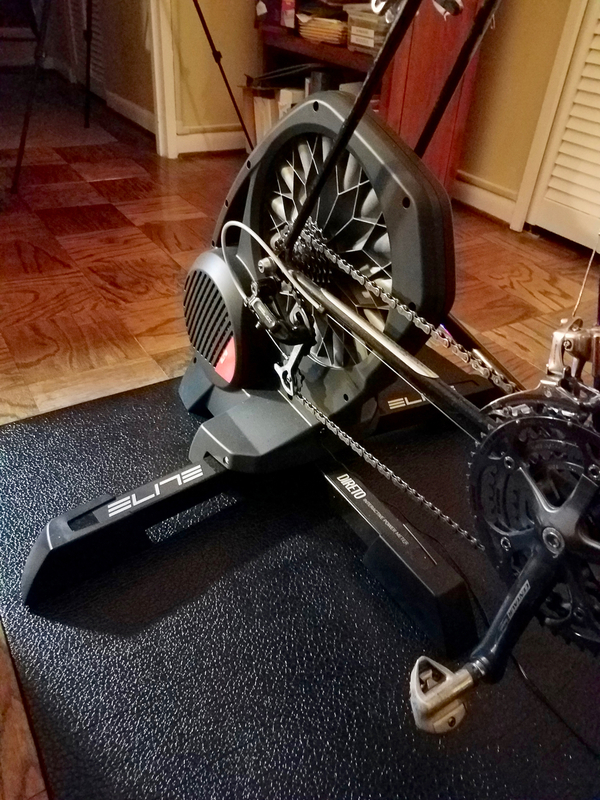 I’m highlighting the Elite Direto home trainer that I started using in earnest this year. 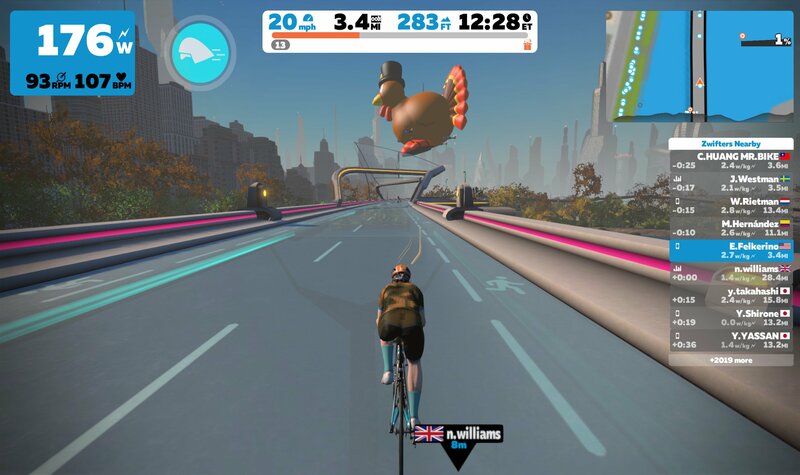 It’s one of a crop of trainers where the resistance can be controlled via Bluetooth by online cycling programs, such as Zwift, TrainerRoad, and others. I bought the Direto last Christmas season based on the review by Ray Maker at DCrainmaker.com, who praised it as one of the best upper-midrange models (under $900) in the wheel-off category. That means you take off the bike’s rear wheel and attach the bike directly to the trainer with its own gear cogs. I’ve ended up using it with Zwift, the online cycling game where you ride in a virtual world with other users in real time. I’m particularly fond of the group ride aspect, where you and everyone else ride in planned events with a set time, distance and virtual elevation gain. 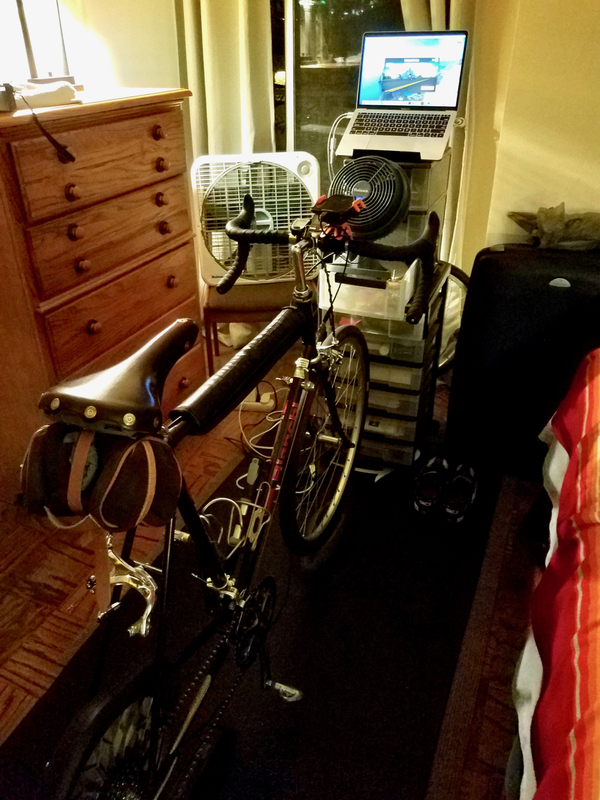 As a friend of mine said, you can go home and climb for an hour in Zwift if you want to. 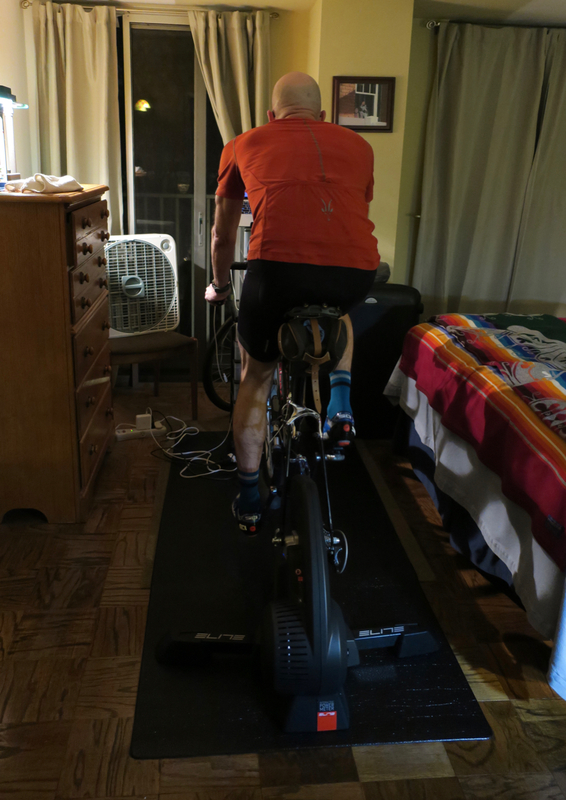 Or, with Zwift and other apps such as TrainerRoad, you can do structured interval workouts. In either case, it’s really convenient to be able to work out without being on the roads dealing with drivers and intersections. I’ve improved my aerobic capacity riding at home a couple of times a week for an hour at a higher intensity than I can muster commuting around town. In the winter I like to train after work, listening to music and looking out the window at the dark night sky. I’m glad I got the Direto, it’s simple to use and has a solid feel, and Elite has good customer service. My first one developed a grinding noise after a couple of months and they paid my return shipping and sent me a new one without any hassle. It competes with offerings from Wahoo and Tacx. You can see a great rundown at Ray’s site. The price is high but as a training tool I prefer my own workouts over spin classes or trying to ride hard weekday miles during the dark winter months. Even during the summer, I’ll still use it at least once a week for short high-intensity workouts. Ask me questions in the comments about where I purchased and whatever else comes to mind!